Below is what the publications had to say. Click here to read what our customers thought. Also check out Quality Record Pressings Reviews. "AP's reissue of this recording is extremely transparent, naturally balanced, and fulfills the 'it's like he's playing in my room!' audiophile cliché. The record sounds mono at times, but that is how the album was originally mixed. ... Ryan K. Smith used the original two-track stereo tape from the Sony archives and referenced an original Columbia '360 Sound' pressing to master this correctly and it shows. 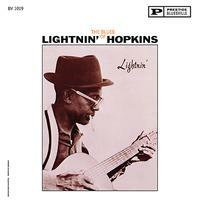 Never have I heard a blues recording that is so musically raw yet so sonically exceptional. Further, the QRP-pressed platters are silent and flat as pancakes." Music = 10/11; Sound = 11/11 - Malachi Lui, AnalogPlanet.com. Read the entire review here. Arthur Lintgen reviews Classic Decca Recordings from Analogue Productions on SACD in the February 2019 issue of The Absolute Sound. 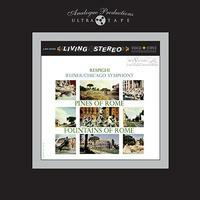 "Analogue Productions has followed up on their highly acclaimed series of 25 RCA Living Stereo SACDs with a smaller group of 9 Decca SACDs. ... 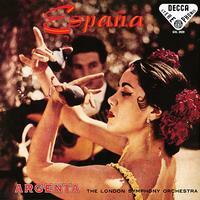 The original Decca LP entitled España, which contains Rimsky Korsakov's Capriccio Espagnol, Granados' Andalusia, Chabrier's España, and Five Spanish Dances by Moszkowski played by the London Symphony Orchestra conducted by Ataulfo Argenta was designed to be a sonic showpiece. The performances are all excellent, but not at all garish or overdone." — Arthur Lintgen, The Absolute Sound, Feb. 8, 2019. Read the entire review here. "Analogue Productions has followed up on their highly acclaimed series of 25 RCA Living Stereo SACDs with a smaller group of 9 Decca SACDs. 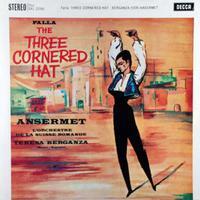 ... Falla's The Three Cornered Hat is not frequently recorded complete, so this sensational performance by Ernest Ansermet conducting L'Orchestre de la Suisse Romande is special. The music initially explodes out of the speakers and continues unabated to the end, a true and underrated sonic spectacular." — Arthur Lintgen, The Absolute Sound, Feb. 8, 2019. Read the entire review here. "Analogue Productions has followed up on their highly acclaimed series of 25 RCA Living Stereo SACDs with a smaller group of 9 Decca SACDs. 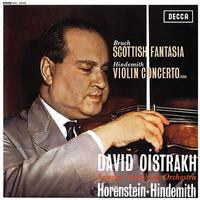 ... Oistrakh's Hindemith Violin Concerto is a treasure." — Arthur Lintgen, The Absolute Sound, Feb. 8, 2019. Read the entire review here. "Analogue Productions has followed up on their highly acclaimed series of 25 RCA Living Stereo SACDs with a smaller group of 9 Decca SACDs. 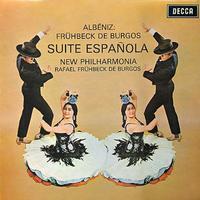 ... Albéniz's Suite Española has undeservedly stayed under the radar. Rafael Frühbeck de Burgos' orchestral transcriptions of Albéniz's captivating melodies are colorful but always tasteful. The sound serves the music just about perfectly. 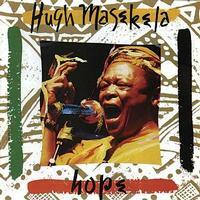 This SACD is sonically electrifying." — Arthur Lintgen, The Absolute Sound, Feb. 8, 2019. Read the entire review here. "Analogue Productions has followed up on their highly acclaimed series of 25 RCA Living Stereo SACDs with a smaller group of 9 Decca SACDs. 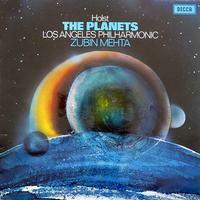 ... Zubin Mehta's sensational interpretation of The Planets is probably the most famous (among audiophiles) of his excellent series of recordings with the Los Angeles Philharmonic Orchestra. ... The performance itself is probably as good as any, and the sound, highlighted by a powerful, warm, and deep organ, is magnificent. The pedal effects at the end of 'Saturn' are stunning." — Arthur Lintgen, The Absolute Sound, Feb. 8, 2019. Read the entire review here. "Analogue Productions has followed up on their highly acclaimed series of 25 RCA Living Stereo SACDs with a smaller group of 9 Decca SACDs. 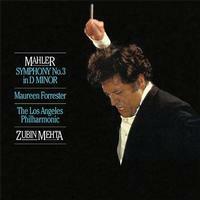 ... Mehta has made a specialty out of Mahler's Third Symphony. 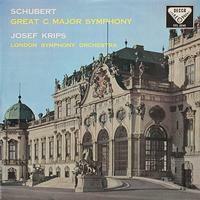 The massive first movement, with its outstanding inner detail of the lower registers of the orchestra, may be the best ever recorded, especially if you are primarily considering the sound." — Arthur Lintgen, The Absolute Sound, Feb. 8, 2019. Read the entire review here. 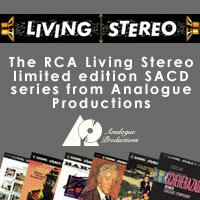 "Analogue Productions has followed up on their highly acclaimed series of 25 RCA Living Stereo SACDs with a smaller group of 9 Decca SACDs. ... 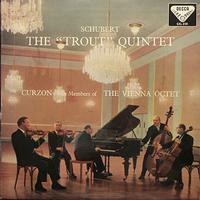 Though Schubert's 'Trout' Quintet is obviously not a sonic showpiece, it was probably a good idea to include some well-known chamber music in this group of recordings." — Arthur Lintgen, The Absolute Sound, Feb. 8, 2019. Read the entire review here. "AP's UHQR mastered by Bernie Grundman towers above the rest. During our listening session, I told (Michael Fremer), 'if someone doesn't like this record's sound, their listening situation is crap.' It's everything the SACD offers and more, minus the slight digital sheen, and shockingly quieter (Yes! 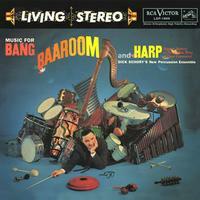 The vinyl produced blacker backgrounds than did the SACD, hence the 'shock' — Ed). In addition, the packaging (which was sent in an unfinalized version) is stunning; the album itself is housed in a Stoughton tip-on gatefold while the outer two-piece box is of excellent build and features a beautiful wooden spine." — Malachi Lui, AnalogPlanet.com. Read the entire commentary, based on a pre-production copy of the album, here. Awarded Positive Feedback Writer's Choice Award for 2018! 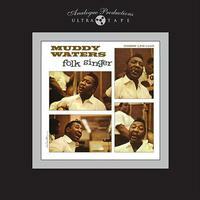 "My first reaction when Chad Kassem told me at a recent audio show that Muddy Water's Folk Singer would highlight Acoustic Sound's second series of 15-ips tape releases was complete shock. Not for long, though, as exhilaration rapidly starting coursing through my body. What audiophile in their right mind with a tape machine wouldn't want a 15-ips tape copy of this classic Chess Records recording? One that has an extra, unlisted tenth track of Waters's 'You Can't Lose What You Ain't Never Had' (taken from an April 1964 recording session) that's not on the original album. For good reason, too, as this new 15-ips tape copy lives up to and exceeds even the most lofty expectations. The tape just brings this 1963 recording to life in new and unexpected ways whether it be foot taps, the sound of Guy's guitar and reverb trails." — Myles B. Astor, Positive Feedback.com, Issue 100, Nov. 1, 2018. Read the entire review here. 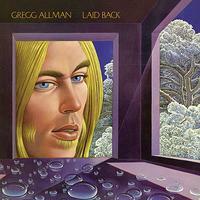 "If you want to truly experience this album, Analogue Productions' new SACD, mastered to DSD by Bernie Grundman and including both the stereo and mono mixes (mono for the first time in the digital domain), is the only way to do it. 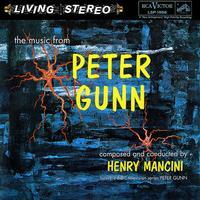 ... Grundman's mastering has less bass than Marino's, as well as somewhat attenuated highs. There's much more air on songs like 'Spanish Castle Magic,' and the soundstage is also extremely wide. ... this release is a home run for Analogue Productions. If this is any indication, AP's upcoming stereo UHQR edition of this title (to be reviewed upon release by AnalogPlanet editor Michael Fremer) will be a sonic force to be reckoned with." - Music = 9/11; Sound 10/11 - Malachi Lui, AnalogPlanet.com. Read the entire review here. "Since 2002, mastering facilities like those helmed by Kevin Gray have improved. Analogue Productions' 33RPM mastering produces an even larger soundstage with better depth. Add to that the fact that the new packaging is far superior to the 45RPM issue, and this one-disc package is Sonny Rollins nirvana. 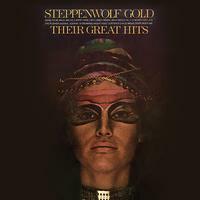 — 5/5 stars, Dennis Davis, vinylreviews.com. Read the whole review here. "While more expensive, Analogue Productions' 45RPM reissue makes the piano seem more life-sized and restores all the overtones missing from the earlier reissues — all the while delivering enhanced percussion detail and tauter bass. I'm certain that somewhere ahead of the master tape, recording engineers Bradley Hartman and Donivan Cowart slowed down the tape in places for effect. Listen to the opening bars of 'September Song' where the knobs got turned a little too slow. No matter. Analogue Productions' Stardust again earns a super disc designation by today's higher standards." 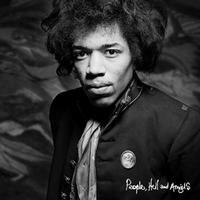 — 5/5 stars, Dennis Davis, vinylreviews.com. Read the whole review here. Hi-Fi News' Album Choice for August 2018! "...this reissue sourced from the original analog tapes still in superb condition and cut by Kevin Gray is by far the best sounding edition ever. 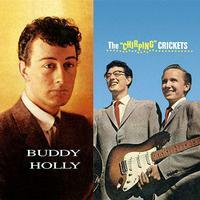 Lubbock, Texas born Buddy Holly was 21 when he recorded this collection that includes 'I'm Gonna Love You Too,' 'Peggy Sue,' 'Everyday,' 'Words of Love' and a few other originals and covers including Leiber and Stoller's 'You're So Square' and Fats Domino's 'Valley of Tears.' ...The gatefold 'Tip-on' packaging features an 'outtake' cover photo inside and an iconic black and white shot of Buddy and The Crickets under which is a Graham Nash (The Hollies) quote. I think Chad Kassem got it from Graham when he was in town to play a gig and got a tour of the QRP pressing plant. 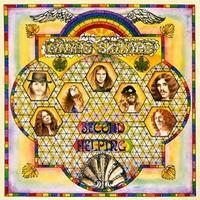 (This is) a must for everyone who collect American rock'n'roll...or any kind of music for that matter." — Music = 10/11; Sound = 10/11 - Michael Fremer, AnalogPlanet.com. To read Fremer's full review, click here. "...the choice to purchase these Analogue Productions reissues boils down two considerations: whether you want the music configured as it was first released and whether these LPs sufficiently improve on the sound of earlier releases. ... Analogue Productions presents the original running order and artwork, and the covers, from Stoughton Printing, are first-rate. If all of that doesn't have you reaching for your wallet, then the improvement in sound should. Kevin Gray's remastering breathes new life into the music, enhancing tonality, dynamics and retrieval of inner detail. 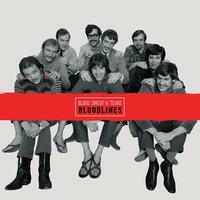 The sound of these reissues easily outstrips that of any prior releases." — Sound = 4/5; Music = 5/5 - Dennis Davis, The Audio Beat, April 28, 2017 Read the entire review here. 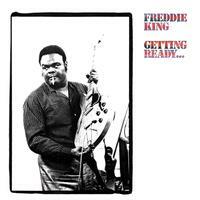 "I took a listen to King's original version of his 'Same Old Blues' appearing on his 1971 LP, Getting Ready, re-issued by the always-reliable audiophile quality label, Analogue Productions. 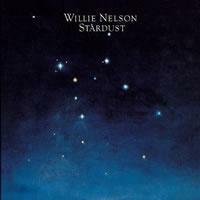 Here was Good Sound embodied: the tactile dynamic shadings and amplified heat from King's electric guitar were captured in an airy recording space; his vocals were clear and natural and he joined the chorus of background vocalists (and the twinkling of Leon Russell's piano) in a layered, dimensional space." — Nelson Brill, bostonconcertreviews.com, April 15, 2018. Read the mention, included in Brill's review of Marcia Ball In Concert, here. 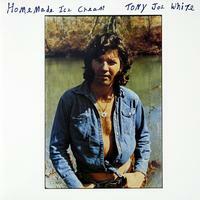 "The variety in Holly's first two albums reveal why he's an icon of American popular music. There's no self pity or pathos in his voice, just an unmistable clear tone and that wild hiccup. 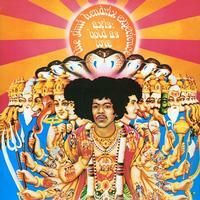 Almost every cut has some striking characteristic, like the wordless, swaying harmonies in 'Words of Love.' 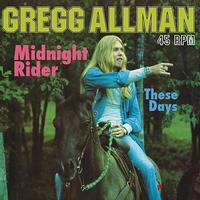 He walks between raw rock 'n' roll and a polished pop sound, and even in his most sentimental songs he's believable. Keven Gray mastered this mono SACD (preceeded by last year's LP versions) from the original master tapes and, due to the limitations of the sources, did as good as could be expected. 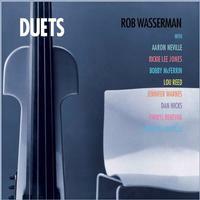 Erick Labson's 2004 remasters for Geffen are too compressed and bright, and the bass is artificially prominent. Steve Hoffman stayed faithful to the first-generation masters he used for his 1985 compilation on MCA, From the Original Master Tapes. Though it's not a track-for-track match, I mention it because it's held in high regard by collectors, and the SACD bests it with a more spacious soundstage. 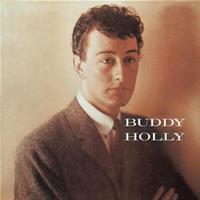 I have an early pressing of Coral's 1959 The Buddy Holly Story, and the SACD is equally well-balanced while offering even better vocal presence." — Music = 4/5; Sonics = 3.5/5 — Stephen Estep, The Absolute Sound, May-June 2018. 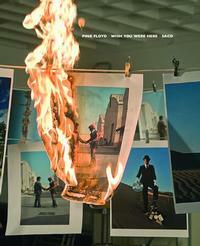 "The LP version has been used as a large-scale show demo for as long as I can remember. ... 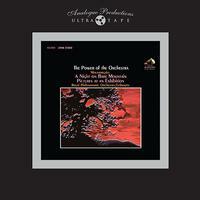 This famous Analogue Productions reissue is the Limited Edition 45 RPM version. ... Yes, it's better than the vaunted 33 RPM. Mainly in the effortless dynamics and bass department." - Anthony Kershaw, audiophilia.com, March 7, 2018. Read the entire review here. "An equally impressive, classics-laden album to pair with Buddy Holly's eponymous LP, this included 'Oh Boy!,' 'Not Fade Away,' 'That'll Be The Day,' and nine others which inspired The Beatles, The Hollies, The Rolling Stones, The Searchers and every other British Invasion band. Sixty years after it appeared, this still sounds fresh and innovative, while Analogue Productions' superlative transfer is one of the best sounding I've heard yet — and I have been collecting Holly LPs for 52 years. Apparently this and its sibling will be issued as 45 RPM doubles — how can they possibly sound even better? 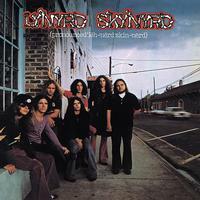 This ranks as one of the greatest debut LPs ever." — Sound Quality: 90% — Ken Kessler, Hi Fi News, February 2018. 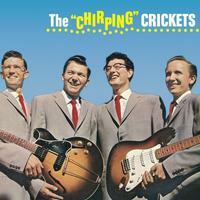 "When The Crickets' "That'll Be the Day" exploded on the radio in 1957 and the absolutely geeky looking 21 year old Buddy Holly and group appeared December 1st on The Ed Sullivan Show, a generation of kids were moved the way the next one was by The Beatles. You didn't have to look like Elvis. Anyone could be a rock'n'roll star. In fact, "That'll Be the Day" was the first demo cut by The Quarrymen, the skiffle group that eventually morphed into The Beatles." — Michael Fremer, AnalogPlanet.com. To read Fremer's full review, click here. 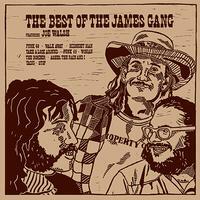 "This is a record fans of it have long hoped would be reissued but I'd been told that (Clint) Eastwood had gone beyond licensing the tracks and had bought the tapes. Leave it to Chad Kassem to get the tapes ... In any case the sound here is even better — way better than the already fine original. 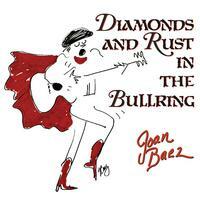 If you are a fan of this kind of 'Great American Songbook' style singing, you'll love this record. How great was Hartman? 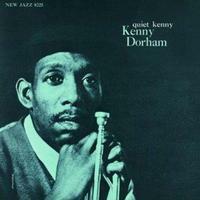 He's the only vocalist John Coltrane recorded with, but you probably knew that. An easy to recommend reissue!" — Music = 9/11; Sound = 10/11 - Michael Fremer, AnalogPlanet.com. Read the whole review here. "Analogue Productions rose to the challenge and reissued this gem in ever better balance, clarity, and focus of instruments. Hartman's voice is pure velvet smoothness. His mellow baritone at times is amazing in his breath control. Instruments come out of darkness, and yet blend and support Hartman to perfection. ... This entire album is not to be missed. It is a valuable example of how to produce a recording that literally takes the listener on a journey through the ups and downs of love and romance. Analogue Productions has done it yet again. 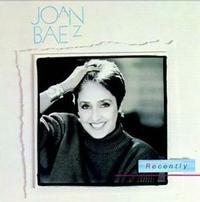 This recording is ageless, and is a top recommendation from me!" — David Nemzer for Positive Feedback Online, November 2016. Read the whole review here. "One area where the tape truly stands (out) with both pieces lies in its ability to reveal subtleties during louder passages. Not to mention the tone in the lower registers of reed instruments. The attack and decay of individual instruments and mood swings on a dime. The strike and ringing of triangles (are) unlike you'll ever hear on LP. 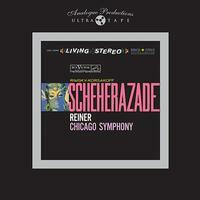 Plus the recording's crystalline-like transparency allows more of the sense of Chicago Symphony Hall to emerge." — Myles B. Astor, Senior Editor, Positive Feedback magazine, January 12, 2018. Read the whole review here. 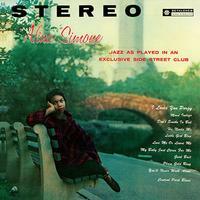 "Is there a reason your RCA Living Stereo SACDs sound better than the original ones I have??? Seriously, even the CD layer sounds better!!" — Harry Weisfeld, Owner VPI Industries Inc. Number six on Sid Marks' all time RCA Living Stereo list (Ultimate Audio, vol.3, no.4, pgs.72-76, 2000) and for good reason. To quote Sid, "From tonal qualities to dynamics, staging and ambience, this beauty has always been among the brightest of stars in the RCA analog heaven." 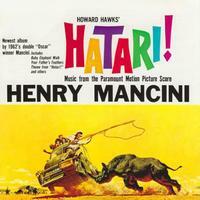 Sid might even after hearing this 15 ips reel-to-reel tape reissue rank this recording even higher. Two of the greatest Russian composers. Two great tales. One of a fake soldier and the other a fake nightingale. 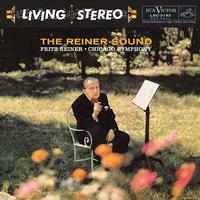 Reiner and the CSO at their best and unbelievable sonics some 60 years ago all wrapped up into one. "It's a sonic spectacular and while perhaps you are skeptical about this, it makes for damn entertaining listening. ... If your system is capable of wide dynamic swings and deep bass, you'll definitely enjoy cranking up this record! The original, cut by Doug Sax, ... is obviously no 'slouch,' but this Kevin Gray-mastered reissue is even better overall. The bottom remains solid and dynamic while the midrange is far more transparent, having lost a 'milky' quality that made it sound as if it had been recorded in an airplane hangar. ... if chamber is more your style and/or more suited to your system I'd recommend Sonatas For Violin and Piano (Analogue Productions APC-8722) performed by David Abel (violin) and Julie Steinberg (piano). Incidentally, Wilson's catalogue numbers begin with the release year, so this one was issued in 1987. These chamber music recordings were designed to create the sensation of the performers playing in your room as opposed to you being in a venue. ... The QRP pressings produce pitch black backgrounds with which the originals cannot begin to compete. 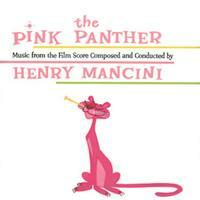 Plus the music is sublime and/or bombastic!" — Michael Fremer, AnalogPlanet.com. Read the whole feature article here. 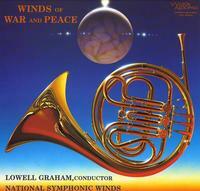 Winds of War and Peace might be Kevin Gray's best remastering effort to date. That's saying something too given his impressive resume! "There you have it! The first four BS&T records cut by Ryan K. Smith at Sterling Sound from the master tapes and pressed on 200g vinyl at QRP. I thought a 1A pressing of the first album couldn't be bettered but that was wrong. This one does. ... I did compare the second album here to the double 45 from ORG cut by Bernie Grundman from a copy of the master and it's somewhat warmer and softer, particularly in the mid-bass but I prefered this newest version. The other two (albums) are equally good compared to nothing because I don't have originals. ... That said, this boxed set gives you the first four albums packaged better than ever with gatefold jackets containing great photographs and as best as I can tell, also sounding better than ever as best as I can tell. Ryan K. Smith did a great job here for sure." Music = 8/11; Sound = 10/11 - Michael Fremer, AnalogPlanet.com. Read the whole review here. 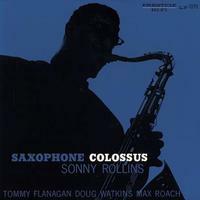 "As responsible as any for inventing 'Big Band Rock' — following the Buckinghams but beating Tower of Power, Chicago and the Flock by a year or more — BS&T showed snooty cynics that serious musicianship worthy of jazz aficionados could blend seamlessly with blues-y rock, without sinking to the excesses of prog-rock. This set contains the group's first four albums (1968-71), from the Al Kooper / Blues Project orgins of their debut, Child Is Father To The Man, to the height of their hit-making period with BS&T 4, with increasing quantities of classical content, eg. Satie. Prescient selection of material from Nilsson, Tim Buckley, Laura Nyro and Randy Newman, sublime performances, superb sound. A triumph." — Sound Quality = 90% — Ken Kessler, HiFi News, December 2017, Digital Album Choice of the month! HIFi News' "Years Best" 2017 includes three Analogue Productions titles! 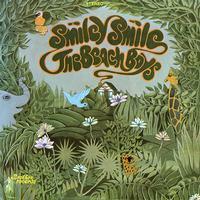 Surf's Up, Smiley Smile and Hatari! 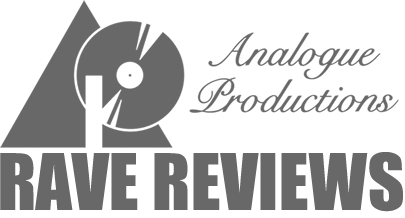 "Analogue Productions has some of the best stuff. If I had to pick one record label, it would be them." – Colleen Murphy, founder of Classic Album Sundays. "Why Vinyl Matters" is a new book where author Jennifer Otter Bickerdike interviews iconic artists, Djs, producers, label founders, record store owners and others influential in vinyl's resurgence. Bickerdike spoke with Colleen Murphy, the founder of Classic Album Sundays, which hosts listening sessions of vinyl albums in their entirety, on world-class audiophile gear, around the globe. 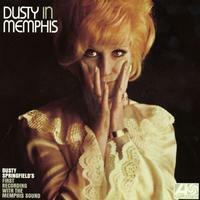 Prior to this, she was known as "Cosmo," an American radio and club DJ. Colleen offered her high regard — as shown above — for Analogue Productions reissues when asked the question: "Crucial release for an audiophile to have because it sounds so much better on vinyl?" She continued: "They do a lot of reissues. They have The Doors, The Beach Boys, Duke Ellington — all sorts. 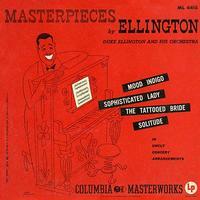 There's a Duke Ellington album called ‘Masterpieces' — if I was on a desert island and I could only have one album, that would be it. It's all unedited arrangements and concert arrangements. ‘Sophisticated Lady' is on there. I'm not even a massive jazz buff. 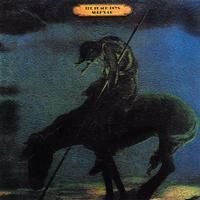 But when you hear this album on vinyl, it's just astounding. It's the foundation of everything. You hear more and more every time you listen to it." The book is available for purchase on Amazon.com. Kind words from a customer appreciative of our Analogue Productions Ultra Tape reissues. "The only reason Classic Records failed to reissue this one back in the 1990s and 2000s is because the reel containing one side had gone missing. 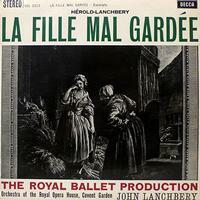 For this reissue Sony/BMG located the original 3 track recording from which this stereo record was sourced so it's one generation ahead of the mixed two track master. 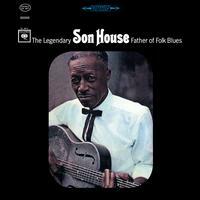 This tape probably hadn't been played in almost sixty years and so sounds remarkably fresh. 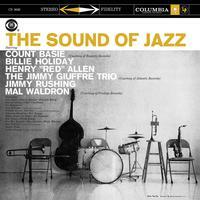 ... Analogue Productions reissued this in a tip-on gatefold sleeve with great black and white photos taken at the recording session of Count Basie, Billie Holiday and Ben Webster. A moment in musical time perfectly captured that's easy to recommend for the music, the sound and the packaging. The reissue sound is somewhat drier than the original, which makes it all the more intimate and less dated. A great lacquer cut by Ryan K. Smith." — Music = 9/11; Sound = 9/11 — Michael Fremer, AnalogPlanet.com. To read Fremer's full review, click here. 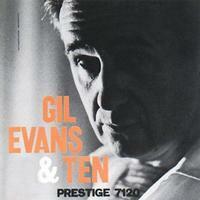 "On a fine new Analogue Productions 200gm stereo LP reissue of Gil Evans and Ten, (Prestige 7120) ($35), his first recording as a leader, the man's many strengths combined to create a tour de force. 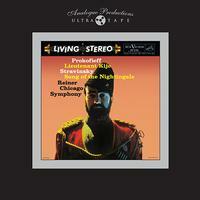 This is first time these recordings have been released in stereo on LP. For starters, there's the material, an impeccable selection of covers that opens with Irving Berlin's "Remember" and continues on Side A with Lead Belly's "Ella Speed" and finally "Big Stuff" from Leonard Bernstein's ballet, Fancy Free. The second side is equally distinguished, opening with Rodgers and Hart's "Nobody's Heart" and adding Cole Porter's "Just One of Those Things," Tadd Dameron's "If You Could See Me Now," before closing with Evan's own, "Jambangle."" — Robert Baird, Stereophile.com, Mar 28, 2017. Read the whole review here. "OK, it runs to less than a half-hour, it's a tad corny and we're talking about one of the funniest farces ever to star the incredible Peter Sellers, so you probably think you will never listen to it minus the visuals. 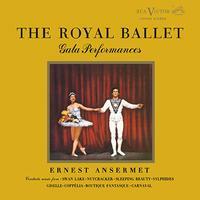 But so sublimely well recorded is this 'golden era' RCA original, and so perfectly captured here on SACD, that it's enough to make you invest in the format if you haven't already. The theme tune is so instantly recognizable as to be a cliché, and the only reason it's not the release of the month is because I suspect you already own it. This is so gorgeous that you might find yourself bitten by the soundtrack bug ... and that can be expensive. A gem." Sound Quality = 91% - Ken Kessler, HiFi News, March 2017. 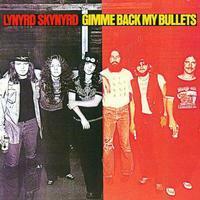 "Analogue Productions' Classic Records buyout brought with it metal parts for many albums, cut by Bernie Grundman, including for this record. ... AP chose to produce a new stamper using the "mother" cut from the original master tape by Bernie Grundman. ... 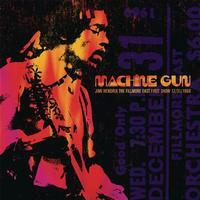 I compared this 33 1/3 reissue to the Classic 33 1/3 reissue and to an original pressing that I'm lucky to own. ... The QRP pressing was definitely more open, extended and focused on top and transients were sharper though in a completely natural way. The Classic sounded somewhat softer and veiled. If you've got both, you'll hear it in the percussive transients first and then consistently throughout. ... If this is one of your "go to" sonic spectaculars and you have other versions, you ought to consider adding this one, though you'll have to wait for the re-re-press. 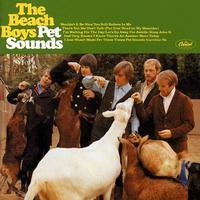 Both the sound, including dead quiet vinyl, as well as the packaging are first-rate." — Music = 11/11; Sound = 11/11 - Michael Fremer, AnalogPlanet.com. To read Fremer's full review, click here. 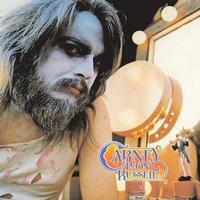 "Carney, produced by Denny Cordell, is Russell's best studio album until his final closing statement, 2014's Life Journey, though 1975's Will O' The Wisp also has its charms. ... Chad Kassem's Analogue Productions has wisely followed Russell's death with this superfine 200-gram, 331/3 reissue of this craggy 1970s landmark ... As is always the case with Analogue Productions records, great care was taken right down to replicating the original purple and green labels. Russell was a great low-key genius, the kind who would never get a second look in the hits-driven, teen-focused, desiccated music business of today." — Robert Baird, Stereophile.com, Feb. 9, 2017. Read the whole review here. "I've never heard an original pressing, but this reissue by Chad Kassem's Analogue Productions — a 200-gram QRP pressing, mastered at 33 1/3 RPM by Kevin Gray — is every bit the equal of Van Gelder's Blue Note LPs from the same era: the trumpet's brash brass and bushels of air, the pluck and wood of the bass, the sizzling hi-hat and smashing snare of the trap set. ... Listen to 'Blue Friday,' and you'll be reminded of the trumpet-led passages on 'Stolen Moments,' the high point of Oliver Nelson's The Blues and the Abstract Truth. There's a similar sound, and it's no accident." — Fred Kaplan, Stereophile, Feb. 8, 2017. Read the whole review here. "I'm not exaggerating about the sound quality: It's amazing nor am I overstating the 'pure novelty' aspect of the arrangements. This is not 'serious' music but it is serious fun and so 1950's kitschy that as time passes it becomes more treasured as a 'moment in time' never to be repeated. I have original and Classic Records reissues but more recently Analogue Productions has reissued this cut from the three-track original tape by Ryan K. Smith at Sterling Sound. Originals still go for well over a hundred dollars (I snagged one years ago at Record Surplus, Las Vegas for three bucks) so the new reissue, which I'm sure sounds great and is pressed on 200g vinyl at QRP, is reasonably priced." — Michael Fremer, AnalogPlanet.com. 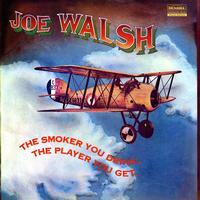 To read Fremer's full take on "Three Percussion Records You Should Own," click here. "Of course this music and this project is at the core of what Analogue Productions' Chad Kassem has been about since he began producing vinyl reissues so it was only natural and fitting that these two LPs have been released on the Analogue Productions label, lacquers cut by Kevin Gray, pressed at QRP and housed in gatefold 'Tip-on' Stoughton Press jackets festooned with evocative black and white session photos. 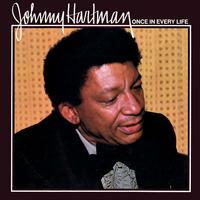 Even if you know these chestnuts like 'Creole Bell,' 'John Henry' and 'Hambone' by heart, you'll experience them here with fresh life breathed into their musical arteries. ... 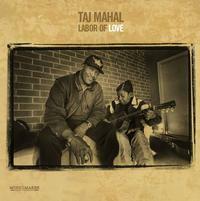 Among my favorites is Taj's instrumental 'Zanzibar,' but really, every track is a treasure. ... Don't be a fool and let the resolution stop you. These are probably the best sounding damn "field recordings" you're likely ever to hear and the stripped-down music is transportive and magical." — Music = 9/11; Sound = 9/11 — Michael Fremer, AnalogPlanet.com. To read Fremer's full review, click here. "Music Maker Foundation founder Tim Duffy has managed to capture Mahal at his most skeletal on this vinyl-only release, culled mostly from Duffy's archives of off-the-cuff performances recorded in 1998 on a 42-city Music Makers tour with Mahal headlining. 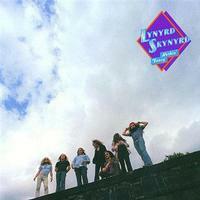 Some of the cuts were recorded after the shows, late at night in hotel room jams, and some were taped at Duffy's Pinnacle, North Carolina, Music Makers studio/residence. ... Music Maker Foundation releases are always special, but this one should be on your Christmas list and receive your attention all year long. It's a gift that keeps on giving." — Grant Britt, nodepression.com. Read the entire review here. 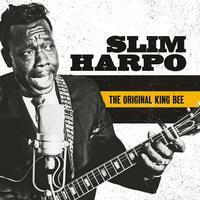 "What we have here is magic: classic blues tunes — 'Stagger Lee,' 'My Creole Bell,' 'Mistreated Blues,' 'Zanzibar,' 'John Henry' and more — treated with such love and wit and heartache and (to use a tired term that's appropriate here) authenticity. Few field-hand recordings are drenched with this much sweat. And none of those field-hand recordings (few live or studio recordings, period) sound so vivid." — Fred Kaplan, Stereophile.com, March 6, 2017. Read the whole review here. "It's delicious stuff. Mahal was miked up close, allowing every crisp nuance of his voice and guitar to be recorded cleanly and clearly; that guitar work, especially, is so in-your-face that you'll feel like you're sitting at the artist's feet. Some of the material will be familiar to anyone who's followed Taj Mahal, or at least his brand of acoustic blues, for any length of time. The opening number, 'Stagger Lee,' is given a reverential traditional treatment, and 'Fishin' Blues,' regardless of how many times he's cut it, still delights. Mahal takes lyrical and rhythmic liberties with 'Walkin' Blues,' presented here in a bare-bones rendition even starker than the familiar Robert Johnson version; and Mississippi John Hurt's' 'My Creole Belle' is sweet and tasty. The duets, for the most part, are enjoyable as well-the slide guitar on 'John Henry,' with Etta Baker, is sharp and sleek-but in the end, you may end up wishing that the entire set could've been just pure Taj and nothing but Taj." — Jeff Tamarkin, Relix, April 11, 2017. Read it all here. "... this Analogue Productions release captures an impassioned performance with much-better-than-expected sonics. ... Impeccably mastered from the original analog tape by Kevin Gray at Cohearent Audio, the 200-gram vinyl was plated and pressed at Quality Record Pressings. This small treasure preserves the essence of what makes Baez such a beloved figure on the world stage." - Music = 4/5; Sonics = 4/5 - Neil Gader, The Absolute Sound, November 2015. Read the whole review here. "Regardless, sonics are first-rate, as is Analogue Productions' knockout reissue. The sound is exceptionally ambient and airy, with a remarkable sense of depth and a seemingly endless stage. Instruments are creamy-rich in texture, as is Timmins' come-hither vocal style. 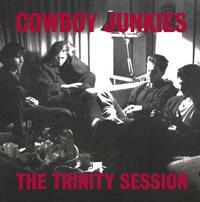 If you love Trinity Sessions, you'll want this edition." - Wayne Garcia, The Absolute Sound, February 2017. Read the whole review here. Want more? Click here to read what our customers thought.